Will Dogs Stop Playing If They Are Too Hot? Dogs cannot sweat to cool down as people can. They can sweat a little through their paw pads, but the main way dogs cool down is by panting. Given cool shade and water to drink, will dogs know when to stop and take a rest while at the beach or dog park? The quick answer is "no"—many dogs will not stop on their own when actively playing or fetching until they have to. If your pet is showing any signs of illness, please consult a veterinarian as quickly as possible. On a hot day, the time between having fun and a heatstroke can be very short. The time is even shorter in high humidity when the animal is out of shape or unaccustomed to the heat and humidity. Work up slowly to exercise fitness and make exercise part of your dog's regular routine. 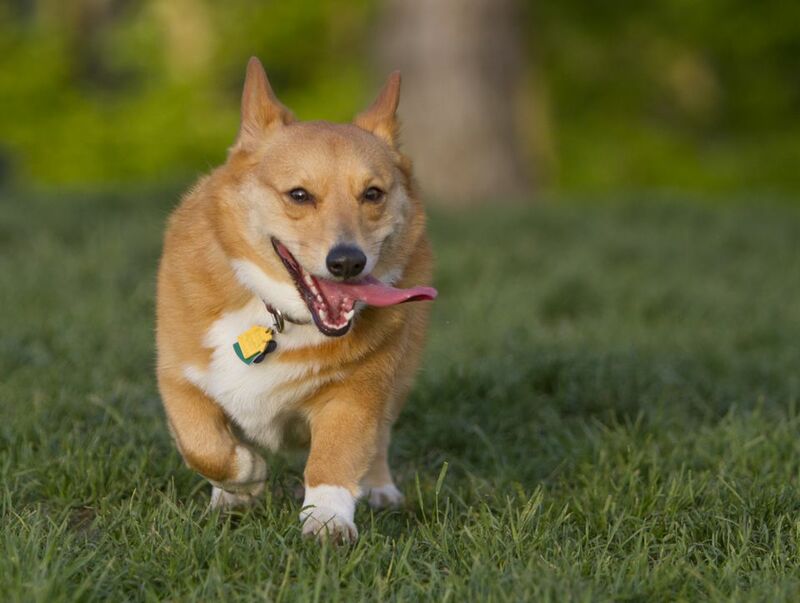 You can recognize heatstroke in dogs when there are excessive panting and signs of discomfort. A dog overheating may also be unable or unwilling to move around. Your dog might also drool, have reddened gums, vomit, have diarrhea, lose mental acuity, have a loss of consciousness, experience uncoordinated movements, and collapse. When outdoors, always make sure your dog is in a well-ventilated area with access to plenty of water and shady spots. Panting is not the easiest way to cool off, and it is much more difficult in humid weather, as there is very little evaporation. The activity does not have to be strenuous either, dogs are not built to cool off like humans are. Keep overexertion in mind when out playing with your dog. It can happen much quicker than expected especially in the "short-nosed" or brachycephalic breeds like bulldogs, pugs, and pekingese. They are most at risk for heatstroke due to high temperatures and overexertion. Because of their anatomy, nostrils may be smaller, the soft tissue at the back of the throat may impede airflow, and they may have a smaller trachea (windpipe) than other dogs their size. Exercise in the early morning and late evening when it is usually cooler. Avoid the midday heat. Offer small amounts of fresh cool (not iced) water, frequently. Use a hose or let your pet swim in a lake or pool to become thoroughly wet before a walk. This will keep your pet cool. Be sure to wet all layers of a coat, especially double-coated breeds. Watch your pet for signs of tiring and too much panting. The panting tongue out too far will indicate break time. Swollen Dog Nose: What Is Your Diagnosis? What Is Enalapril for Dogs and Cats? Did You Know Dogs and Cats Take Valium, Too?